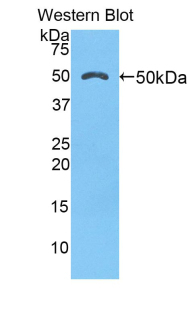 Cathepsin K antibody LS-C298000 is a biotin-conjugated rabbit polyclonal antibody to mouse Cathepsin K (CTSK). Validated for WB. Recombinant CTSK (Gly113-Asn316) expressed in E. coli.